We’re nearly at the end of the month, and the end of #dryjanuary. If you took part in the challenge, how have you managed? There have been a couple of times I could have gone for a glass of wine, but the temptation was soon squashed. Taste…so I went to a Mixology Mocktail Masterclass to learn how to make cocktails without alcohol. Relaxing…so I went and had a Hydradermie 2 Luxury Facial to chill out for an hour in my busy day. Buzz…so I was due to go to a morning rave – Morning Glory London – but I fell ill and my sister went in my place! Confidence Booster…I’m off to London this evening to attend a How to Be Confident workshop. If you ever watch the programme, Come Dine With Me, one of the things you may notice, above the food, is the amount of alcohol that is drunk at these dinner parties! It’s like they go hand in hand…and of course, there is something to be said about wine pairing with certain foods and dishes, but it is possible to enjoy a delicious dinner party without alcohol! 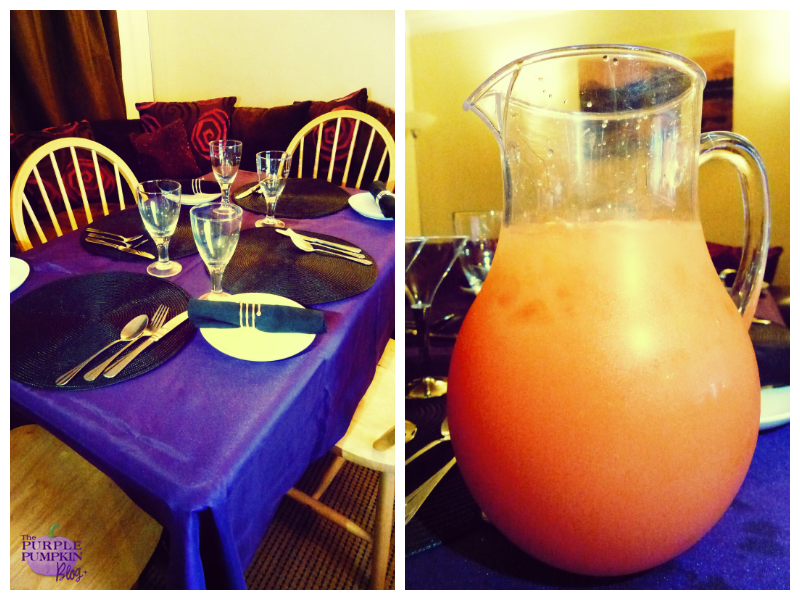 Having learned how to mix up some non-alcoholic cocktails a few weeks ago, I knew exactly what to serve up as drinks at my dinner party, and mixed up a jug of Pink Champagne to enjoy. Now on to the food, which was provided by Foodelity, where you can order restaurant quality food to cook at home. At my booze free dinner party it would be my husband and myself, plus my sister and brother-in-law. I put an email round asking them to check the website out and to pick a starter, main and dessert each so that they could be ordered. The food all turned up on Friday, and I was excited to unpack the box and put it all away, ready for the big dinner party on Saturday night! I read through the recipe cards that came with it, and since I’d be preparing several different dishes, needed to make sure what was expected of me! The chef in me relished the ‘challenge’ and early on Saturday morning I got to work prepping as much in advance as possible. 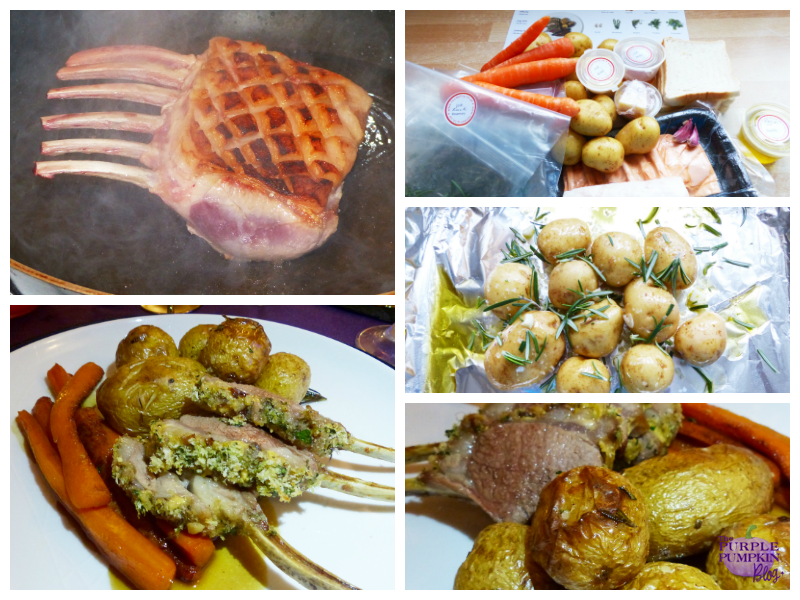 The evening was to be about socialising, and I didn’t want to be too much of a slave to the kitchen! I did invariably have to step away from my guests (oh how I long for a huge open plan kitchen/dining area!) 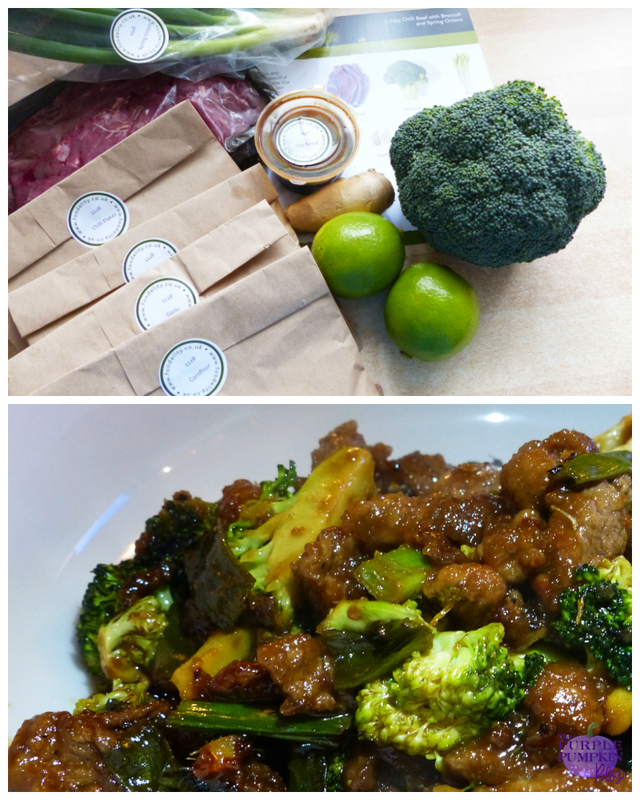 but the food was worth it, the quality of the ingredients was very high indeed, and all the dishes were delicious. 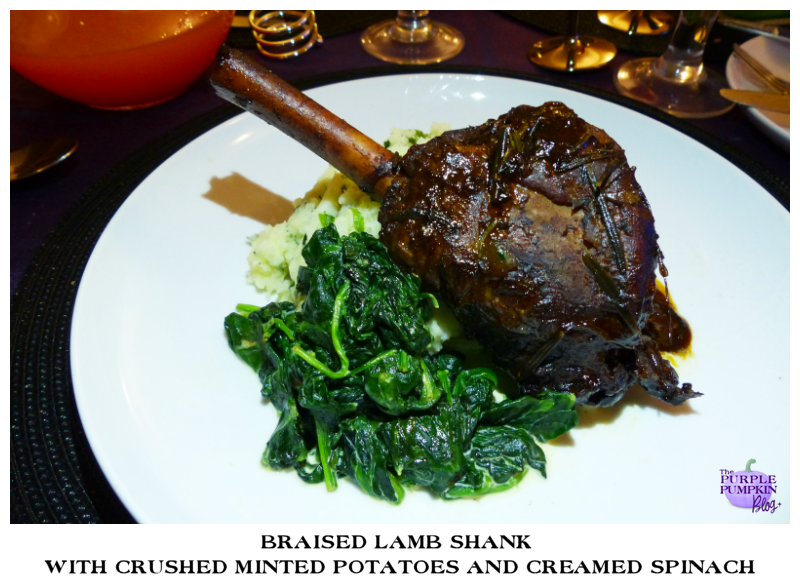 I had three different main dishes to contend with…I had Braised Lamb Shank with Crushed Minted Potatoes and Creamed Spinach, which was going to take 2½ hours to cook! 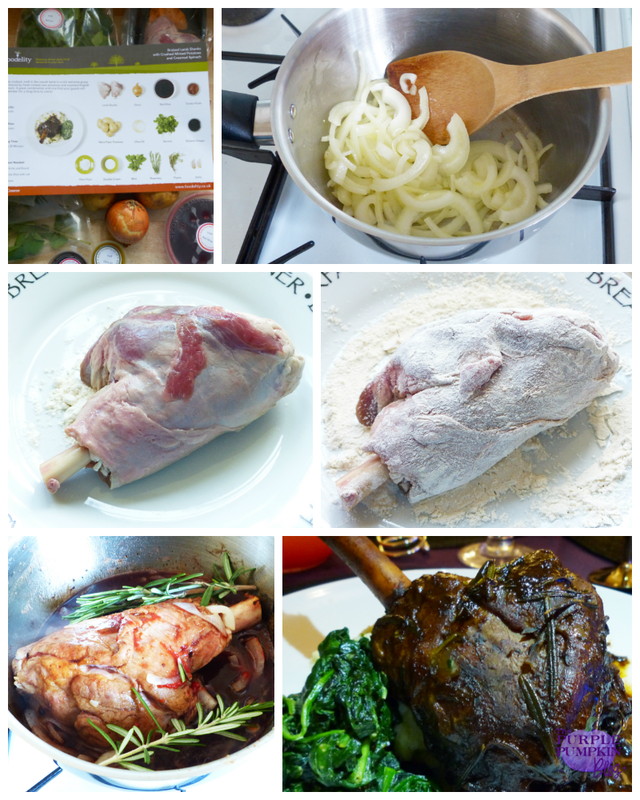 The slow cooking time made it fall from the bone – it was delicious! 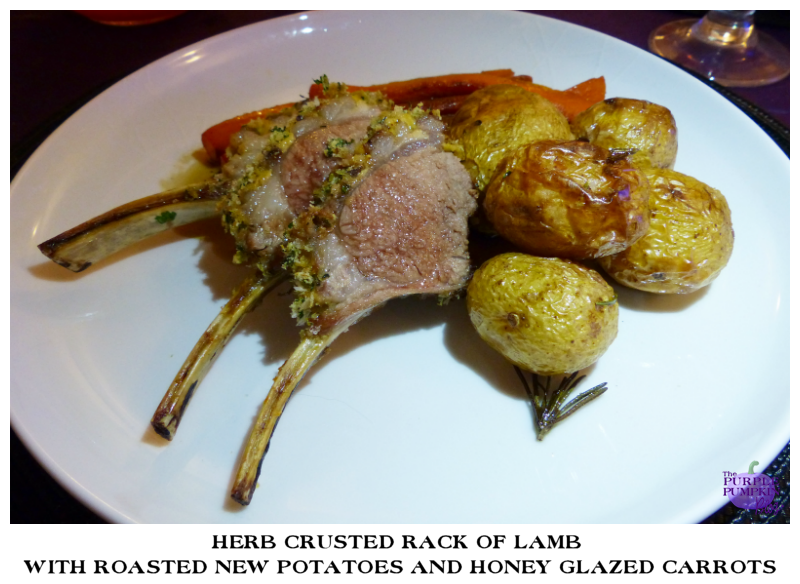 My sister and brother-in-law had Herb Crusted Rack of Lamb with Roasted New Potatoes and Honey Glazed Carrots which looked amazing. They both said how lovely the lamb was, and it being a real treat as they don’t often eat lamb. 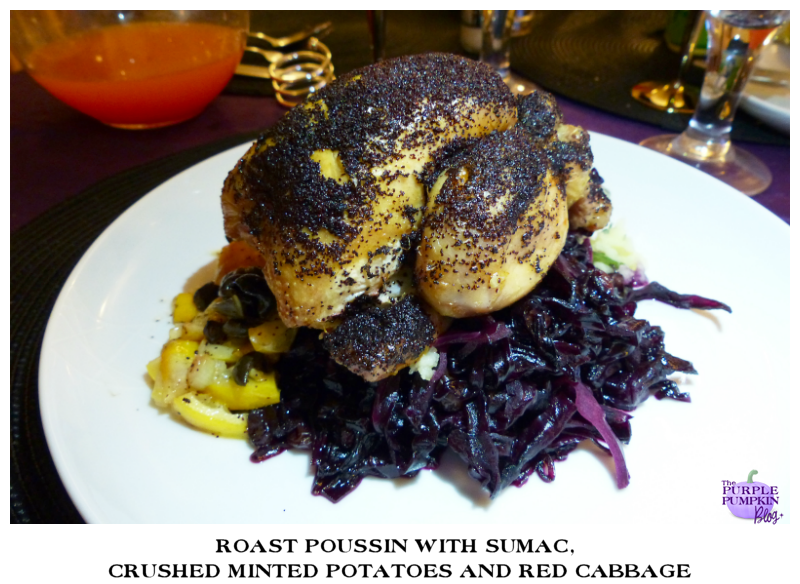 My husband opted for Roast Poussin with Sumac, Crushed Minted Potatoes and Red Cabbage. This dish looked so pretty when I was preparing it, and hubby yummed it up! The whole dinner party took place over the course of about 3 hours, and we enjoyed the food without alcohol, no problems at all. We were too busy either cooking (me) or chatting! 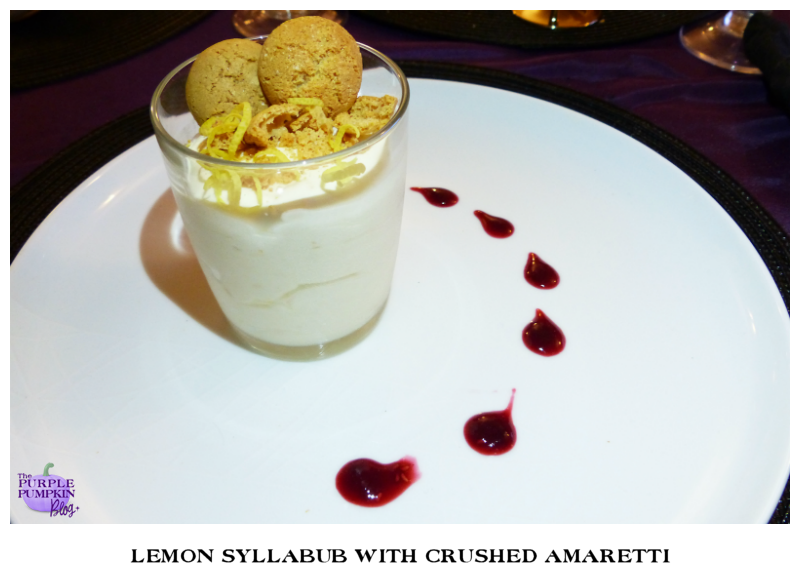 Having made the desserts early in the day, I plated them up and finished off our meals with these sweet offerings: Lemon Syllabub with Crushed Amaretti, which my husband had. 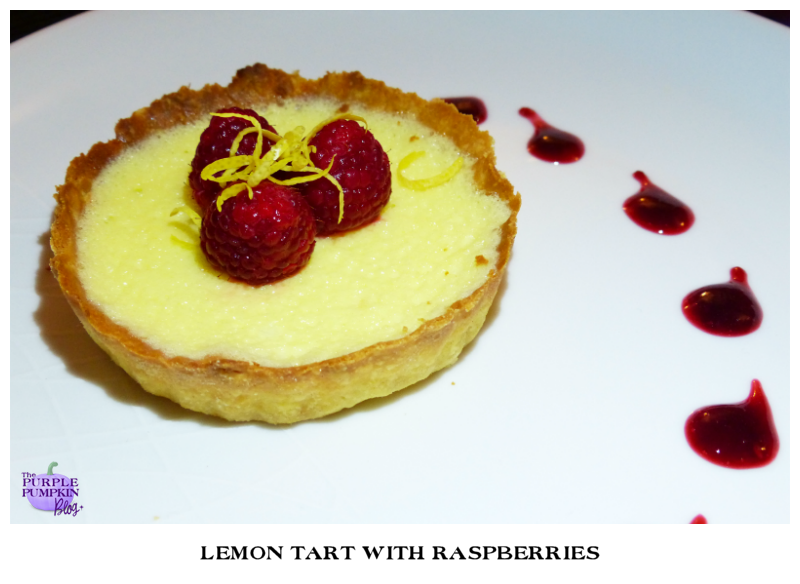 It was light and lemony and he said a perfect end to his meal. 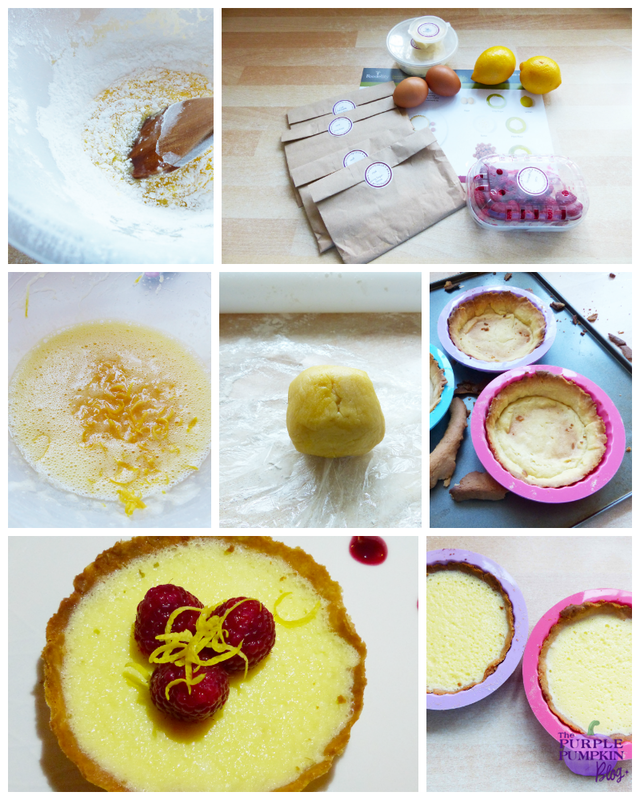 For my sister and her husband, I made Lemon Tart with Raspberries…I have a low tolerance for making pastry (I’m no good at it, that’s why!) but they looked fab, and tasted it too! 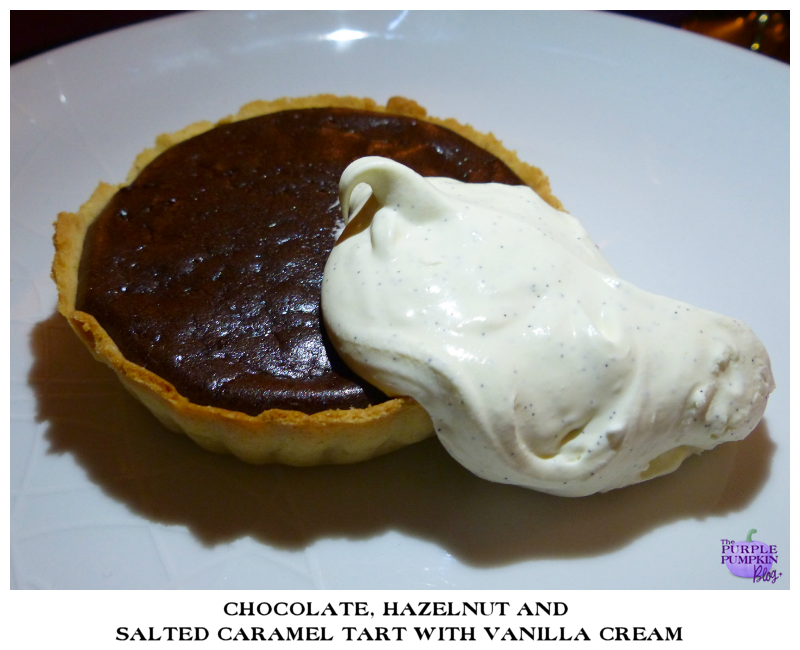 And finally, I had Chocolate, Hazelnut and Salted Caramel Tart with Vanilla Cream. 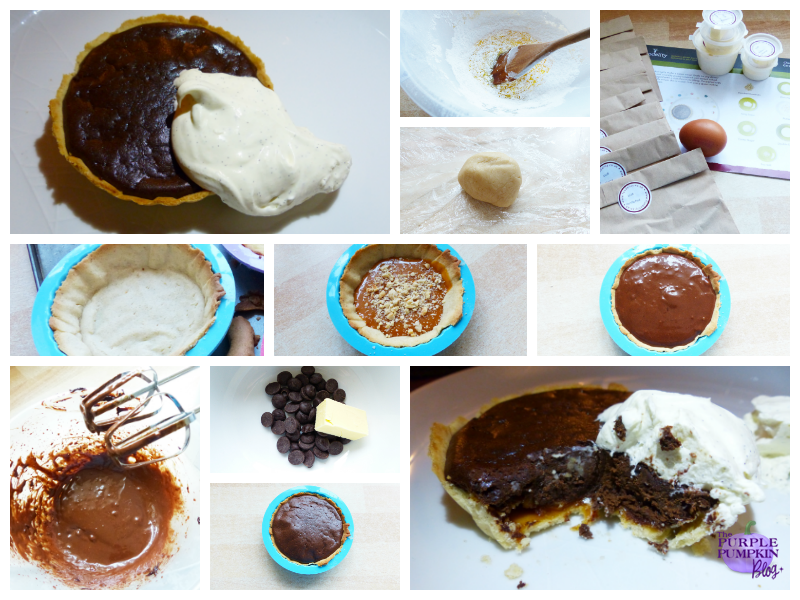 A lot lighter than I was expecting, and I loved the caramel surprise at the bottom. The food and company made my booze free dinner party a very enjoyable evening, and I look forward to hosting another dinner party soon! Do you think you could host a dinner party without alcohol? Is alcohol vital to a dinner party’s success, or can it be just about the food? It all looks beautiful. Well done of your Dry January success! Wow! Looks fantastic. Well done on making it to the end of the month! Hmmm yummy food! 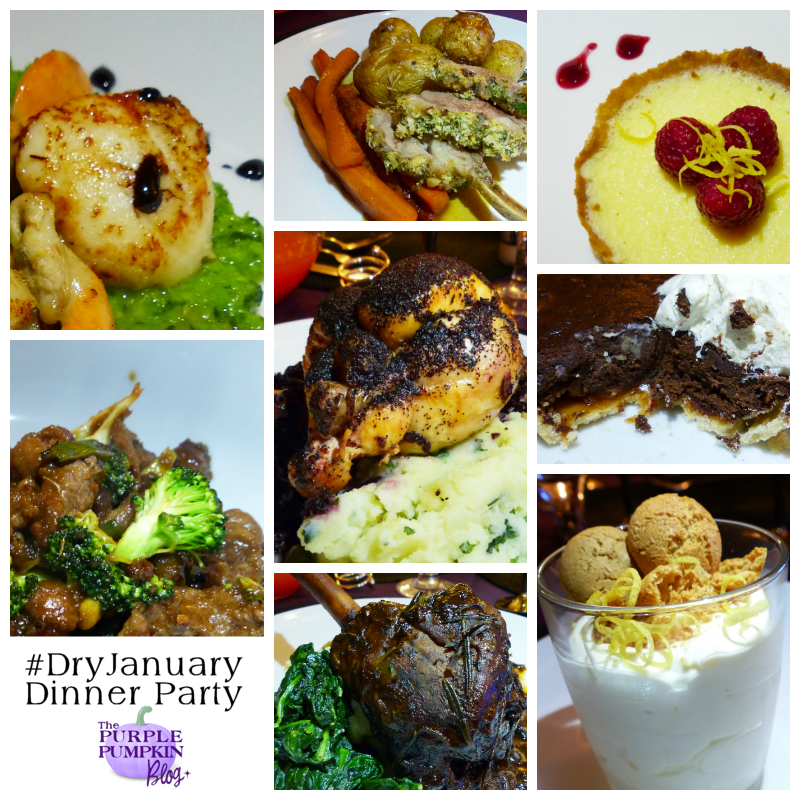 Yay to #dryjanuary too! I haven’t drunk for 10 years after having kids . 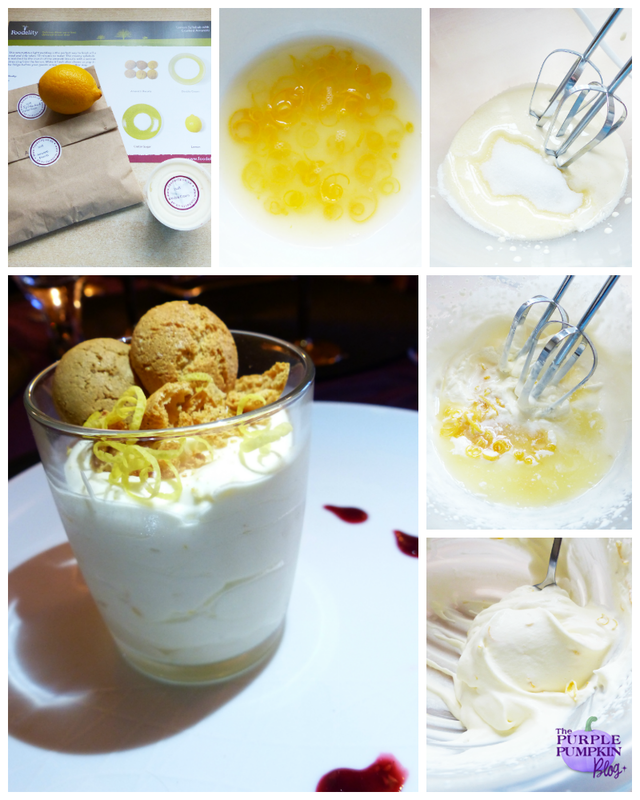 Your pudding look FAB! Ooo lovely – with food that good you wouldn’t notice a lack of alcohol! 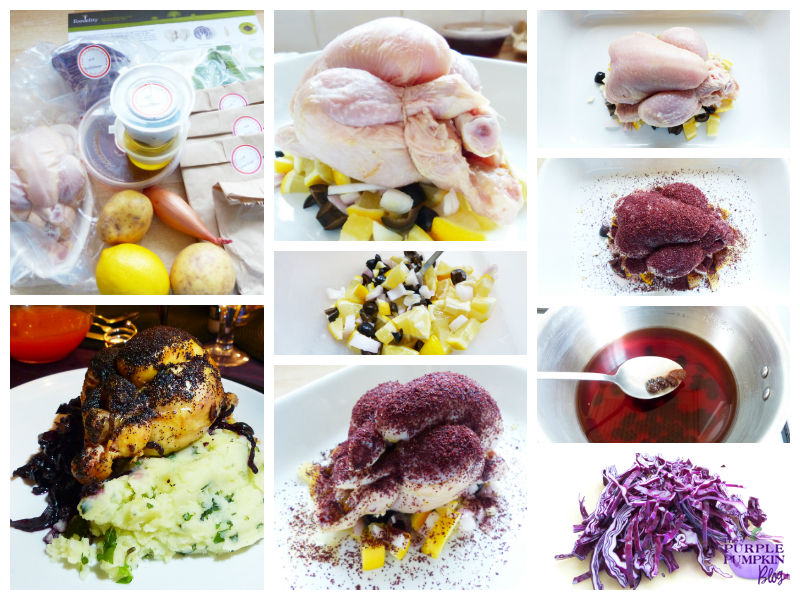 That food looks utterly divine – almost licked the screen then, amazing! Love those foodie boxes, I won one once and it was a lovely treat. Mocktails are great. I’ve only drank alcohol once in the past 5 years and that will be enough for another 5 I think. Everybody always assumes I was an alcoholic when I say I don’t drink, gets on my nerves. Bring on the mocktails though as I hate drinking cola when I go out, I wish places sold them. 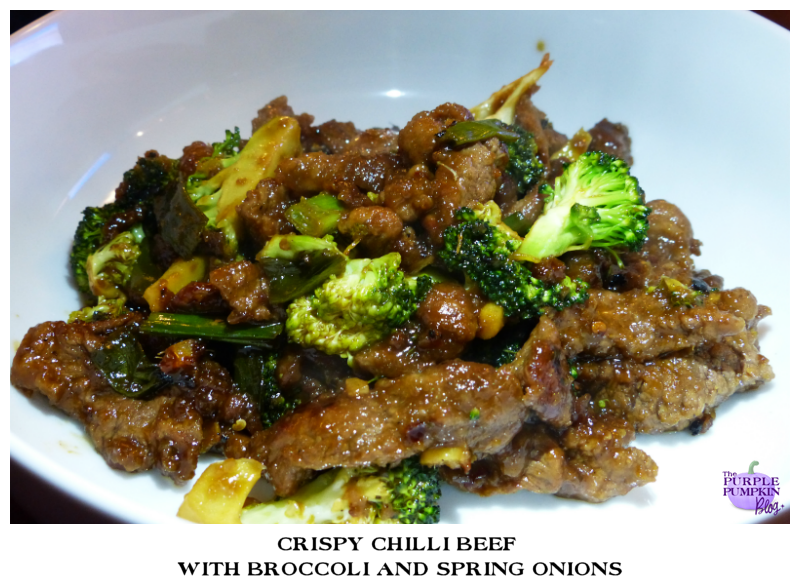 You’ll know how good the food is then – the ingredients were fantastic quality! That is really annoying that people think that way. I’m not a big drinker, at all, but I can overindulge at Christmas, which is why I did #dryjanuary. Wowsers – that looks amazing. 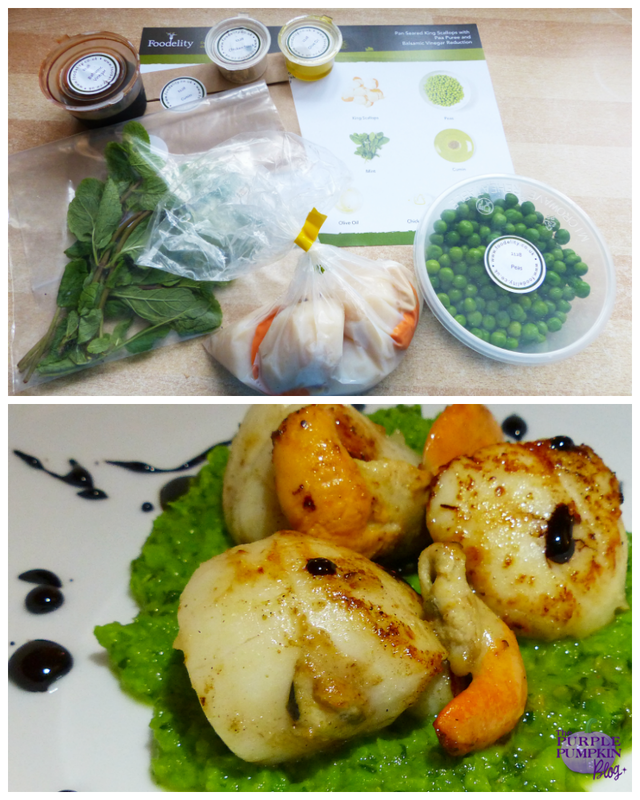 And those scallops – oh I could eat those beauties like sweeties ! What a brilliant challenge. I couldn’t (and don’t want to) live without a glass of wine to hand though! 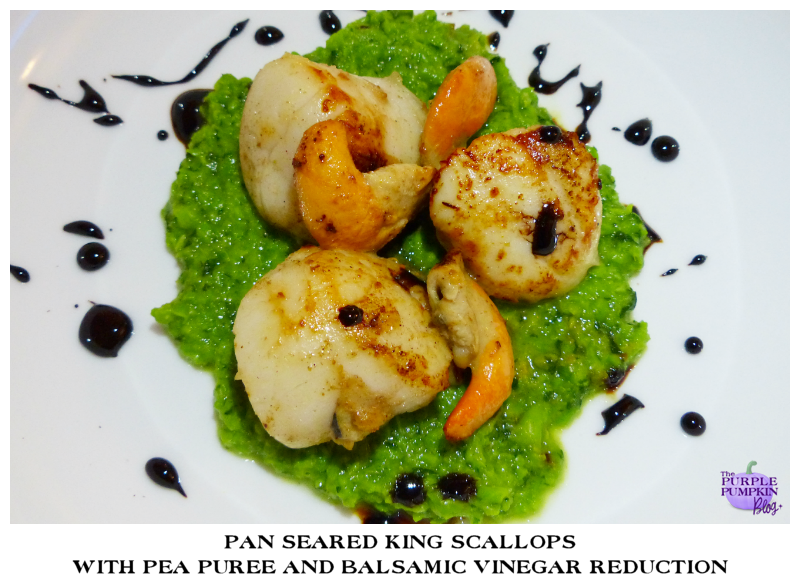 Wow, these scallops look awesome! I am literally drooling right now! Of course, I couldn’t agree more. It was a great success thanks of course to you.